RAYSCAN α+(Alpha plus) is the next evolution in RAY Company’s dedication to superior design, innovation and patient safety. 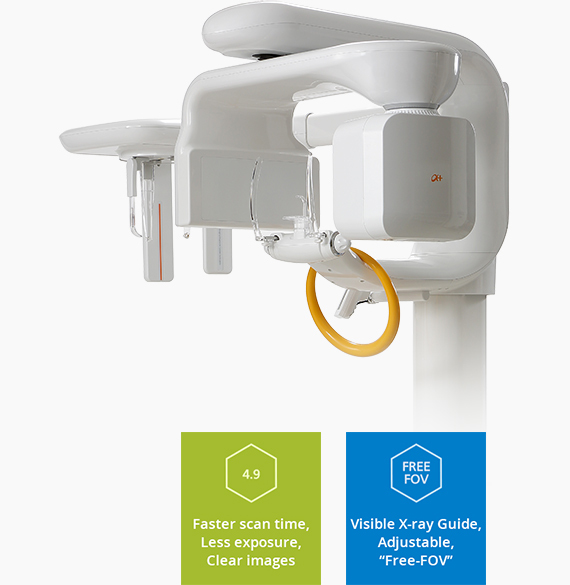 The RAYSCAN α+ is a digital imaging solution with a new level of low-dose capability. Proprietary algorithms deliver our best image quality yet with a minimum x-ray exposure. New Image reconstruction technology combined with a 4.9 second scanning time, results in minimized radiation exposure while maintaining high-quality image. The customizable “Free FOV” enables clinicians to select only the needed treatment area. Patient positioning and FOV collimation utilizes an industry-exclusive light-guided system. Pre-set FOV options allows you to scan conveniently pre-defined area.